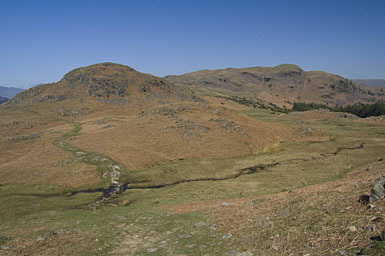 The path runs like a motorway to Dow Bank, Spedding Crag and beyond. Silver How appears on the right. Larger version of this picture.